Day after day, Sunny the poodle simply waited. It had been weeks, but his family still hadn’t come home. All of their furniture was gone — even his food bowls. He drank from the open toilet because he was so thirsty, and he was getting skinnier by the day. His hair was so matted and dirty that it hurt to move. He yearned for relief. Finally, after waiting for so long, someone found Sunny. Sunny’s family had apparently moved out of the apartment and left the 2-year old dog behind. 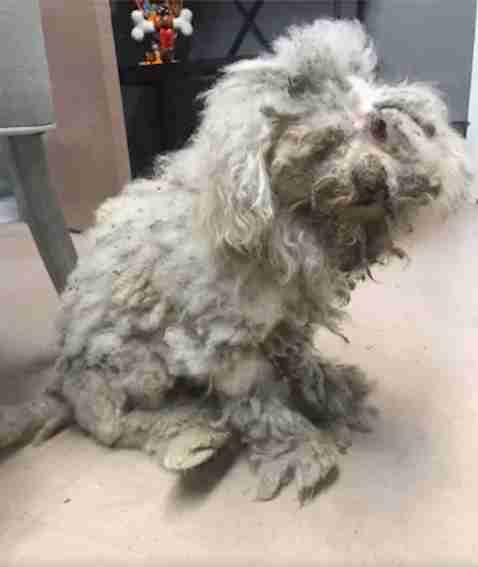 While his abandonment was shocking enough, his condition showed the neglect had gone on for quite some time, likely before they’d even left. 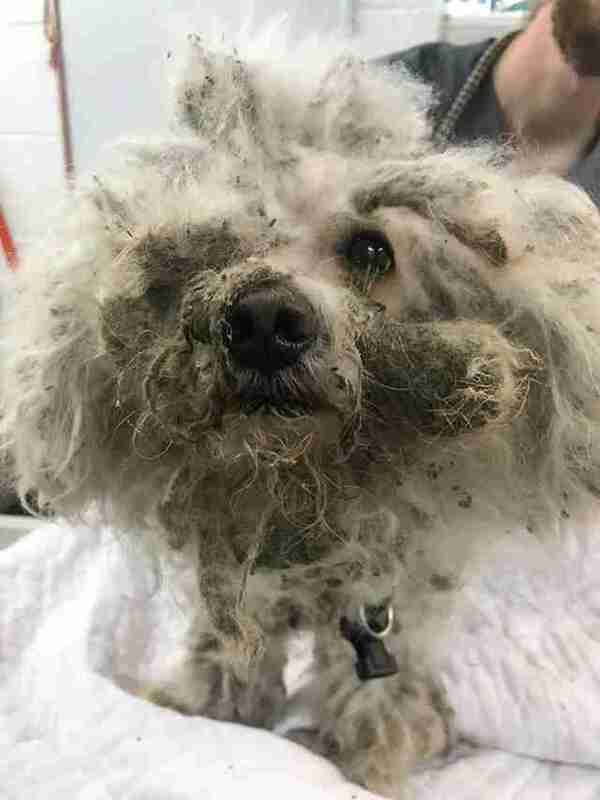 His fur was filthy, matted and infested with bugs. The hair around his legs was so knotted and painful that he could barely move. A groomer from a local PetSmart store offered to take on the delicate job of freeing Sunny from the painful mats. 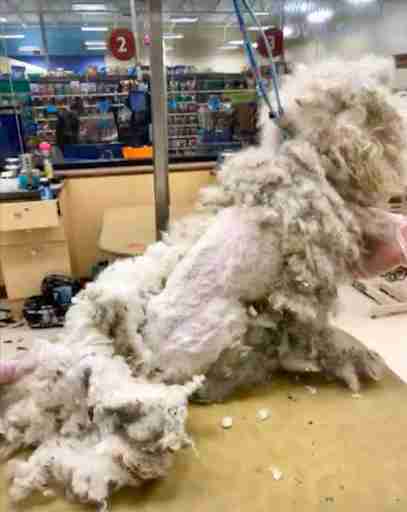 He required a light sedative to stay relaxed throughout the process, while the groomer cut his hair in sections. Including breaks, the entire session lasted around eight hours. Sunny had quite a few sores on his body, but he was finally free from the thick coat. 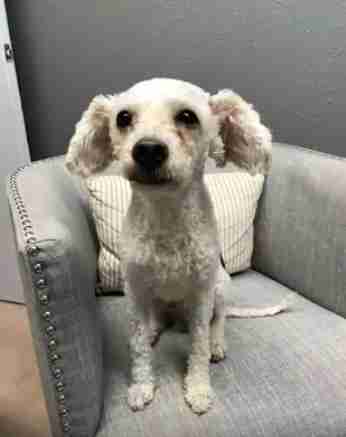 He was put on medicine to help heal the skin irritation, and was sent off to his foster home looking like a brand-new dog. Two weeks later, little Sunny is looking and feeling so much better. He’s lively, playful and social now — and he can’t get enough of hanging out with people. Lackey took Sunny back to PetSmart to show off his new look and do some shopping. On his way through the aisles, Sunny couldn’t contain his excitement. 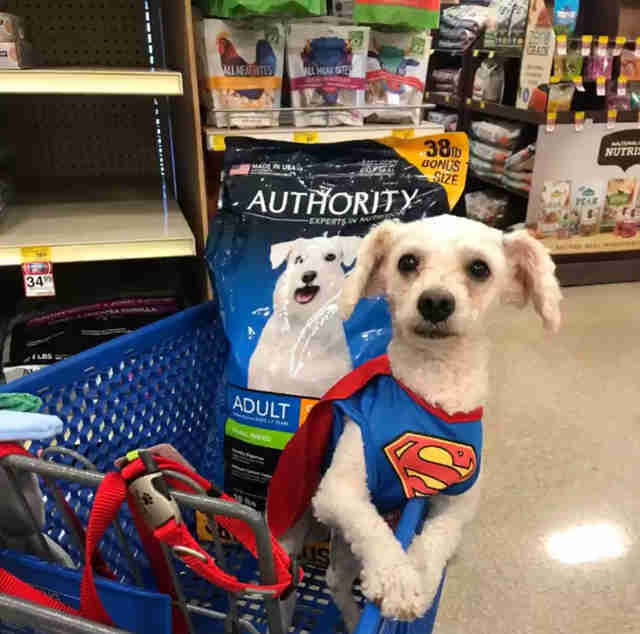 In the pet clothing section, Lackey and Sunny found an outfit quite suitable for everything he has overcome: A superman suit. 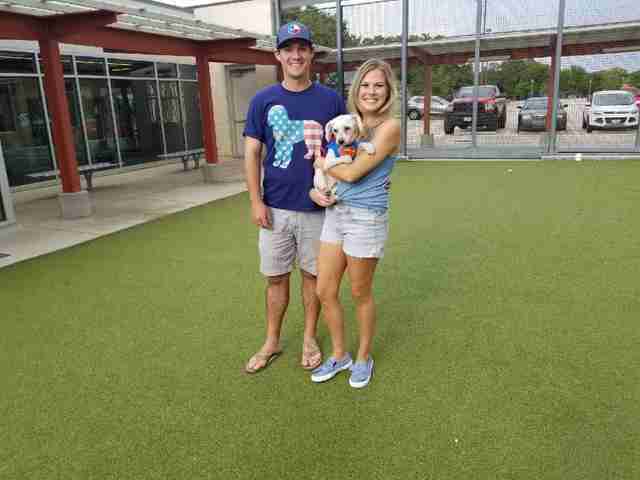 Sunny has captured the hearts of many people throughout the North Texas community, and with that outpouring of support has come dozens of adoption applications. He found the perfect family in the process and will likely go home this weekend. To help more animals in need, you can make a donation to Humane Society of North Texas.